NYC Power Trio, The Come On, rocks overdriven Telecaster and angular beats with Eighties synth lines. Their net sound recalls bands like The B-52s, The Modern Lovers and The Epoxies. Fronted by songwriters Sam Barron and Mimi Oz, the band tackles topics as diverse as Radio Hegemony, Postmodern Vampirism and the deceased NYC mogul William Astor. Mimi’s soaring voice reaches Alpine altitudes, while Barron’s gruff holds steady in the Lou Reed octave. Both members of the NYC Antifolk and Under St. Marx Theatre scenes, Mimi and Sam know how to deliver a story in a song; their lyrics and synth hooks grab the listener by the brain, while Louis Cozza’s fierce drumming makes the body move. The Come On evolved on the road in 2016 when Mimi, Louis and Sam toured together as two distinct acts: Rooster and Sam Barron. The trio played nightly, Sam and Mimi switching up instruments and roles; Louis drumming for both sets. 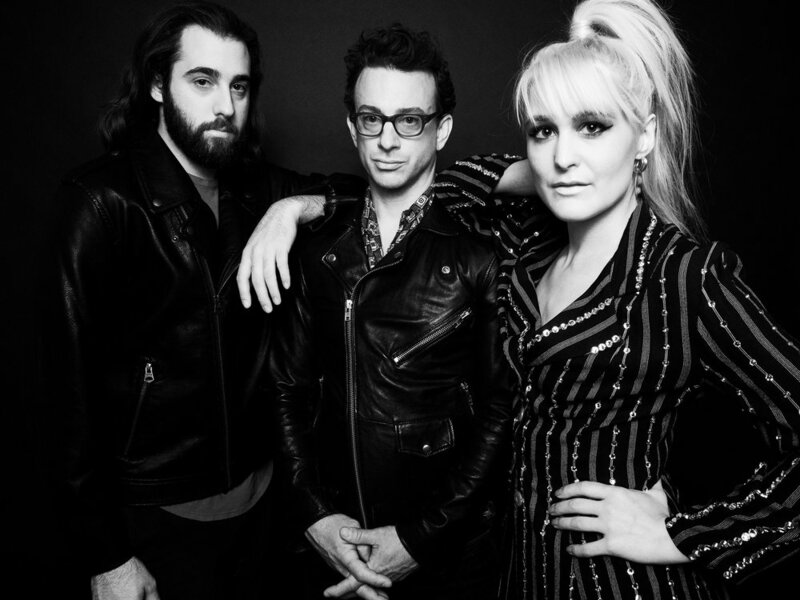 Eventually, through osmosis, blends of synth and telecaster and the mix of male and female vocals, a unique sound emerged and united the three in a new project. In 2017 they released a self-titled EP. In early 2018 they penned a single for Alejandro Montoya’s film Monday, executive produced by Robert Rodriguez. This fall, they will release their first Full Length album titled Checker Charlie; named after a heartless character in Kurt Vonnegut’s first novel.